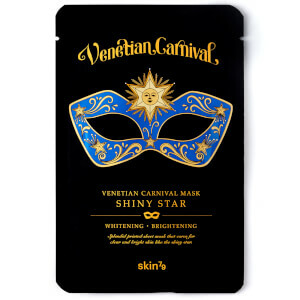 Add a regal step to your skincare regime with the Venetian Carnival Mask in ‘Shiny Star’, a luxurious treatment with brightening properties from Korean-based beauty brand, Skin79. 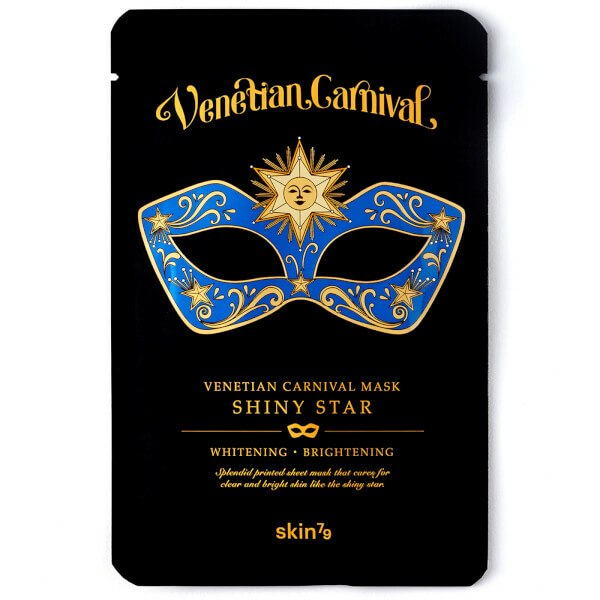 Specifically developed to instantly illuminate and hydrate, the sheet mask is saturated in a nourishing serum fortified with Panthenol and Hyaluronic Acid to intensively regenerate. It effectively stimulates collagen synthesis, whilst extract of Ginseng neutralises environmental aggressors. As a result, skin is left feeling plump and firm with a healthy looking radiance.